NOBODY PUTS ADELAIDE IN THE CORNER! Two extraordinary young talents have made the leap from chorus to leading roles as the main iconic characters in Dirty Dancing. The role of charismatic dance teacher Johnny Castle is played by Kurt Phelan while the role of innocent Frances “Baby” Houseman is played by Kirby Burgess. A NIDA graduate, Phelan is an actor, choreographer and writer. His musical theatre credits include Singin’ in the Rain, Saturday Night Fever and Priscilla Queen of the Desert. Burgess has been seen on stage in Sweet Charity, Hairspray, High School Musical – Live on Stage and on television in Wonderland. It’s the summer of 1963, and 17 year old “Baby” Houseman is about to learn some major lessons in life as well as a thing or two about dancing. On holiday in New York’s Catskill Mountains with her older sister and parents, Baby shows little interest in the resort activities, and instead discovers her own entertainment when she stumbles upon the staff quarters when an all-night dance party is in full swing. Mesmerised by the raunchy dance moves and the pounding rhythms, Baby can’t wait to be part of the scene, especially when she catches sight of Johnny Castle the resort dance instructor. Baby’s life is about to change forever as she is thrown in at the deep end as Johnny’s leading lady both on-stage and off with breathtaking consequences. Featuring hit songs including 'Hungry Eyes', 'Hey! Baby', 'Do You Love Me?' 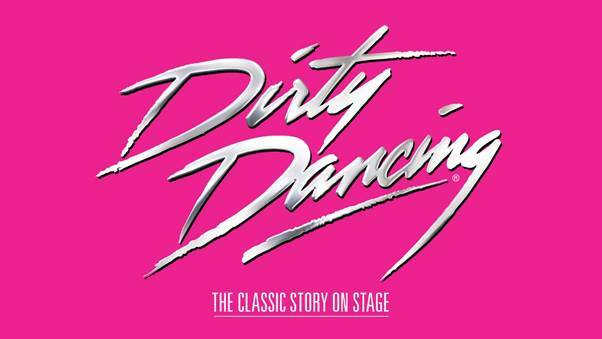 and the iconic '(I’ve Had) The Time Of My Life', Dirty Dancing has become one of the most popular musical productions of all time.